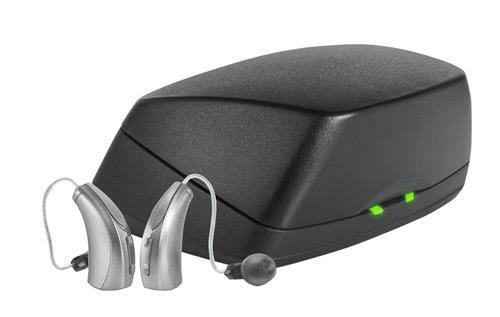 Following the outstanding hearing device Halo iQ comes another hearing aid in the iQ line, Muse iQ. Based on advanced research in virtual reality and neuroscience, Muse iQ line delivers the best in clarity of sound, as well as advanced personalization. The Muse iQ features 900sync wireless technology, and provides full immersion by helping you localize sounds, and focus on what matters most without losing all the little sounds that make you feel like a part of your environment. Through Acuity Immersion, you’ll experience improved spatial awareness and directionality to feel truly connected with your environment. Muse iQ also features rechargeable technology, so you’ll never have to fiddle with changing batteries, or stress about running out of power. The SoundLens Synergy iQ gives you all the advanced settings and power of the iQ line in our newest, and smallest, custom fit invisible-in-the-canal hearing aid. Leaving the outer ear completely open allows the ear to naturally provide localization so you’ll have great spatial perception. Combine this with Starkey’s advanced speech detection, noise reduction, and feedback suppression, you’ll be able to hear and interact with everyday situations like never before. Working with SurfLink, you’ll be able to connect your SoundLens Synergy iQ device to your phone for instant streaming of music, phone calls, or other media for ultimate connection. Taking into account user feedback, Starkey has built Muse iQ with a number of new and improved features. Acuity Immersion Directionality allows wearers to hear more comfortably in challenging environments. For a comfortable, personalized listening experience, Muse iQ provides smoother and faster transitions between sounds, while supporting the brain by providing time to adjust to new sound environments. Sound comfort technology removes distortions from loud sounds and reduces the volume, while ensuring that soft sounds can still be heard with clarity. As with all Starkey products, Muse has feedback cancellation technology, noise management and directionality settings. Starkey has improved wireless streaming capabilities with the Muse iQ, streaming conversations from cell phones, TV, music, and other media with SurfLink Mobile 2, SurfLink Mini Mobile, and other SurfLink accessories. Muse also features Multiflex Tinnitus Technology, which provides relief from tinnitus or ringing in the ears. Users can control both the volume and modulation rate of this program to provide customized relief. As a rechargeable hearing aid, Muse iQ means not having to change or worry about your batteries again. Place your Muse iQ hearing aids into the Starkey Z Power Overnight Charger and wake up to fully charged hearing aids! An exciting new program will entice music lovers. Starkey consulted professional musicians as well as hearing aid users to develop a program that would account for the varied dynamic acoustics and characteristics of music. Muse delivers clear, rich music like no other hearing aid. Soft sounds in the music are made clearly audible, while still accounting for the desired volume and balance of the loud sounds, giving high definition sound quality and an excellent listening experience. Muse is ground-breaking in new programing for single ear hearing loss. The CROS system is for those with hearing loss in only one ear. It provides high definition sound for clarity and consistency between the hearing and the non-hearing ear. BiCROS utilizes the same technology, but is designed for those with severe hearing loss in one ear and only mild hearing loss in the other. Starkey Muse iQ is available in both custom and standard styles (in the canal, completely in canal, in the ear, and behind the ear). Muse iQ hearing air designed to be slender and discreet, with Surface NanoShield, a durable coating that is resistant against water, wax, and moisture to protect hearing and provide world-class dependability. 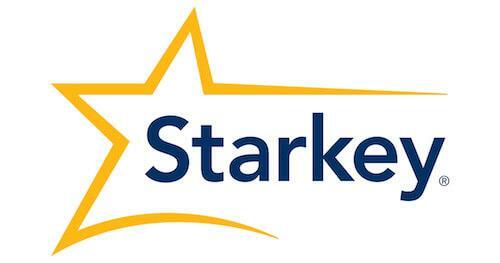 Interested in Starkey Muse hearing aids?